The article is devoted to cooperation of the member states of the Eurasian Economic Union for the protection and development of competition. Key words: antimonopoly regulation, Eurasian Economic Union, Eurasian Economic Commission, Eurasian Customs Union, competition, cooperation. In 2015 the Russian antimonopoly regulation had its 25th anniversary. Although the Russian competition law is relatively young, it has already passed several important development stages: from appearance in 1990 of the first antimonopoly authority — the State Committee of the Russian Federation for Antimonopoly Policy and Support of New Economic Entities – to adoption in 2015 of the “fourth antimonopoly package” which to a certain extent marked liberalization of the Russian antimonopoly laws. In today’s reality regulation of competition is continuing to develop and improve, and we are witnessing important and interesting developments both at the national and supranational level. One of such developments was the coming into effect on 1 January 2015 of the Eurasian Economic Union Agreement (“EEU Agreement”) signed in Astana on 29 May 2014 by Belarus, Kazakhstan and Russia. 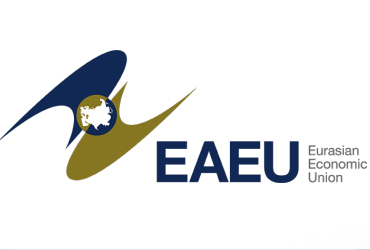 The Eurasian Economic Union (“EEU”) was created on the basis of the Customs Union and the Common Economic Space. The Agreement on the Customs Union of Belarus, Kazakhstan and Russia was signed in 1995. Signing of the Customs Union Agreement formed the basis for subsequent integration of the signatory countries into the Eurasian Economic Community which came into being five years later. Creation of Common Customs Territory and Formation of the Customs Union which became operative on 1 January 2010. The Customs Union included setting common customs tariffs of the three countries and common classification of foreign economic activity. In July 2010 a Customs Code came into effect in the territory of the Customs Union.